We could be in for a weak Wednesday. 1. Market moves: U.S. stock futures are looking soft after markets posted a sharp rally over the past four trading days. Stocks have been extremely volatile this month as a range of concerns have shaken investor confidence. 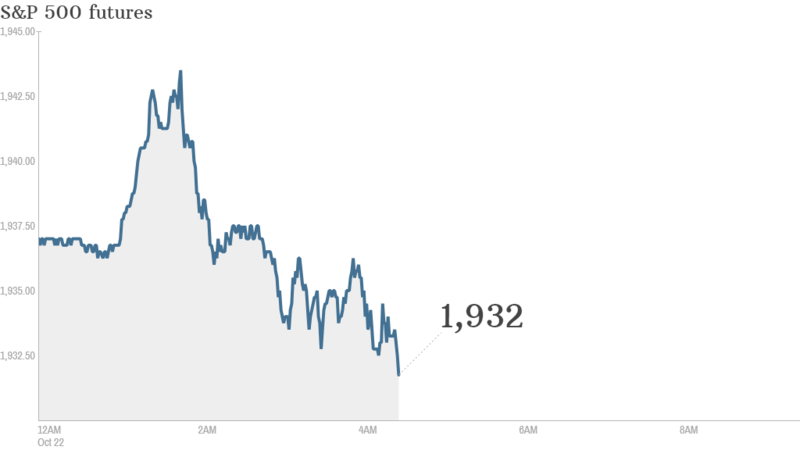 Slower economic growth and spreading Ebola are among the factors spooking investors. Gold prices are dipping and oil prices are edging up. The CNNMoney Fear & Greed index shows investors are still feeling extremely fearful. 2. Yahooooo! 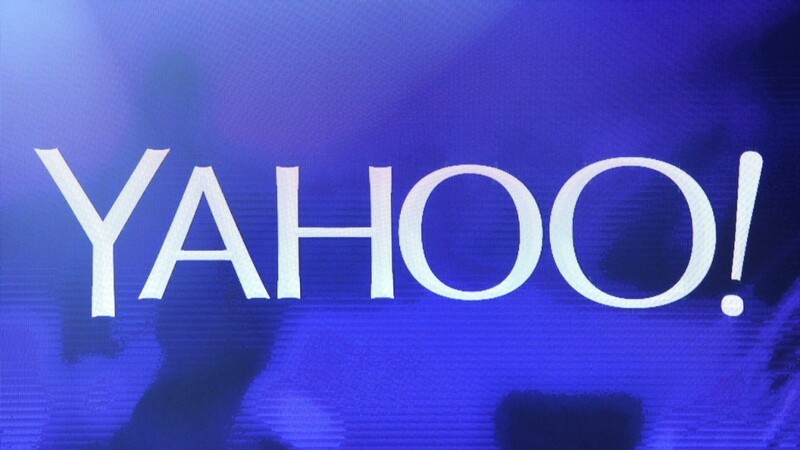 : Shares in Yahoo (YHOO) are set for a 3% pop after the Web giant said profit soared in the third quarter. It earned $6.3 billion from selling part of its stake in Alibaba (BABA), the Chinese e-commerce giant. Alibaba debuted last month on the New York Stock Exchange in the largest IPO in history. 3. Earnings and economics: A slew of big companies are reporting earnings. Boeing (BA), Tupperware (TUP), Xerox (XRX), Northrop Grumman (NOC) and Stanley Black & Decker (SWH) are among the big names reporting before the open. AT&T (T), Yelp (YELP) and Cheesecake Factory (CAKE) are reporting after the close. On the economic front, investors are waiting for the Bureau of Labor Statistics to release its latest monthly inflation data for September at 8:30 a.m. ET. 4. International markets overview: European markets were slipping lower in early trading, while nearly all major Asian markets closed with gains. The Nikkei in Japan was a standout performer, rising by 2.6% Wednesday after dropping 2% on Tuesday.